Hartshorn Distillery is a Tasmanian micro distillery making boutique batches of Vodka and Gin from sheep whey. They are the first in the world to create this unique product. Vodka may not exactly be the first thing that comes to mind when thinking of Tasmania. Yet the country, better known for its wild, natural beauty and the Tasmanian Devil, is also a renowned producer of world-class spirits. Its pure water and a long-standing distillery tradition, combined with makers’ passion for their produce, ensure a formula that brings only the best bottles to your table. In fact, the quality is so high, you wouldn’t want to mix Tassie vodka with tonic. It should be enjoyed just like the highest-quality whisky or wine: on its own. Give it a try and soon you will know how good a glass of vodka on the rocks can really taste. Walk in to any of the micro-producers’ cellars and you are guaranteed to sample vodka that satisfies even the most discerning taste buds. This quality has not been left unnoticed at international events and competitions, with distilleries proudly winning in top categories. 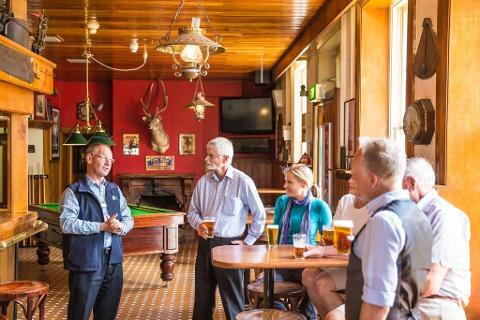 Image thanks to Tourism Tasmania and Rob Burnett. Take 666 Pure Vodka for example, awarded a Gold Medal in the San Francisco World Spirit Competition, the most influential and prestigious spirit competition in the world. Or Hartshorn Distillery, voted 2017’s Champion Vodka of Australia at the World Vodka Awards for their sheep whey vodka--the first of its kind available on the market. 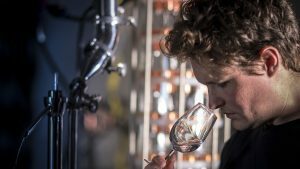 Many distilleries in Tasmania are small, boutique businesses that produce limited bottle batches. The main ingredient used varies from barley to potatoes, or most recently even the aforementioned sheep whey. This is the case with Ryan Hartshorn’s vodka. He found an innovative way to turn the so often discarded whey from cheese processing into a luxury product. Ryan even handpaints each bottle, transforming the glass container into a collector’s item. 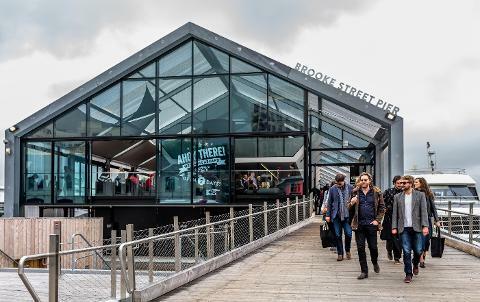 Image thanks to Tourism Tasmania and Rob Burnett. Another unique vodka definitely worth trying comes from Sullivans Cove Distillery. They are better known for their award-winning single malt whiskies, but have now used the same production process to create their own single-malt vodka. Handcrafted and double distilled, theirs is a smooth, full-bodied spirit. 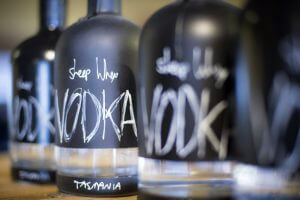 The most popular form of vodka in Tas is 666 Pure Vodka, which is widely available and enjoyed by many. The company’s vodka also comes in Autumn Butter and Coffee flavours. A close second is Fire Drum, a single malt by Sullivans Cove and Sheep Whey Vodka by Hartshorn. 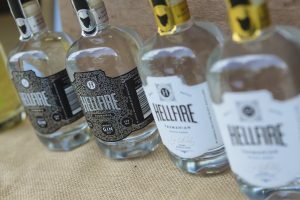 Lovers of potato vodka ought not miss Hellfire or a bottle from Tasmanian Moonshine Company: their velvety smooth vodka is made from mashed potato. Image thanks to Mitch Osborne. Tempted to try? Most distilleries have cellar doors and cafes where you can sample and purchase their produce. They also offer daily tours if you would like to learn about the production process. Tasmanian Moonshine Company is based in the heart of Hobart, while Sullivan is a short drive away to Cambridge. Image thanks to Supplied Courtesy of Institut Polaire. 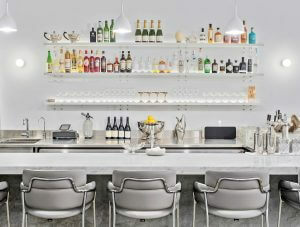 If it’s a vodka-based cocktail you’re after, head to Gold Bar, a newly opened speakeasy in Hobart. 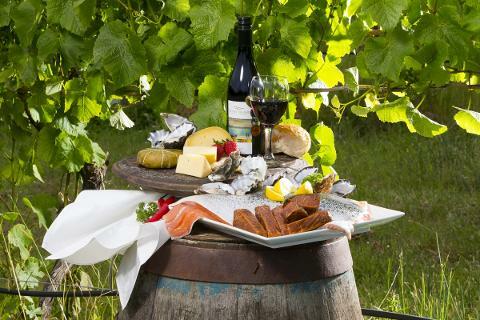 Or if you’re in Burnie, try Spirit Bar Tasmania for all things local, including food, to accompany your drink. Hartshorn Distillery makes their vodka using whey from sheep cheese.